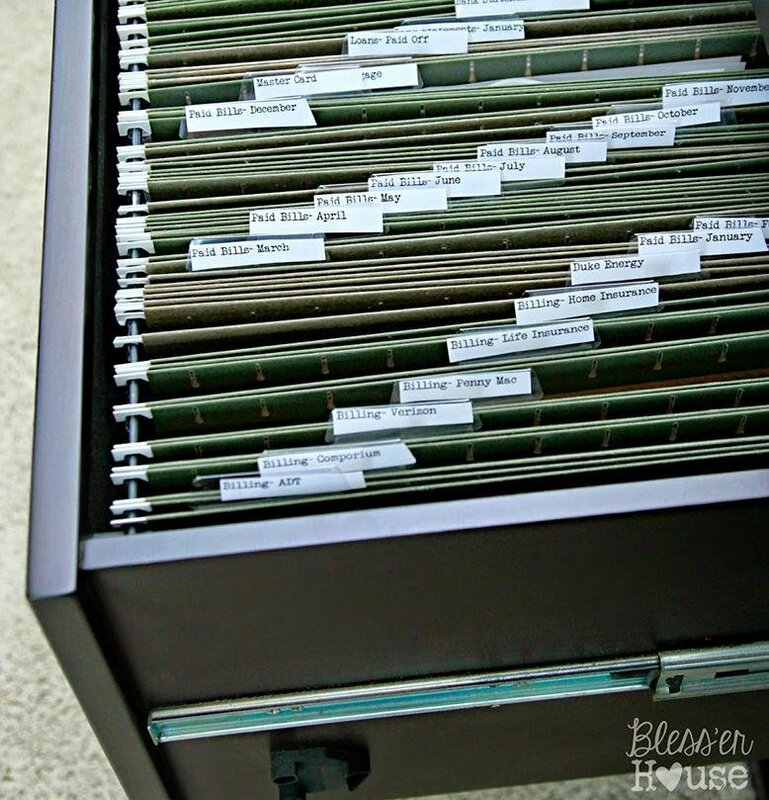 Coming up with a filing system that works for you and that keeps you organized can be a tricky thing. In all honesty, I haven’t found the system that works perfectly for me yet, so I’m still on the hunt. With all the options out there, I’m sure I’ll find something that works eventually! There are so many different ways and techniques to keep your files organized and we’ve gathered a few different ideas for you to try out yourselves. When you’re creating a filing system, it’s important to remember that the whole purpose of organizing is so that you can find things easily and quickly. Whatever filing system you choose to you, make sure it makes sense to you and how you think. One of the most basic tried and true filing systems is naming your folders and keeping them in alphabetical order in your filing cabinet. If you only have a few files, this might be a great option. If you have lots of folders or files you’re trying to keep organized you may have a hard time finding what you’re looking for with things that are alphabetized. Sort each of your files into different categories like personal, finance, insurance, etc. Once you’ve gotten everything organized and categorized into the appropriate categories you’ll be able to find things quickly - as long as you can remember what category you put it under! 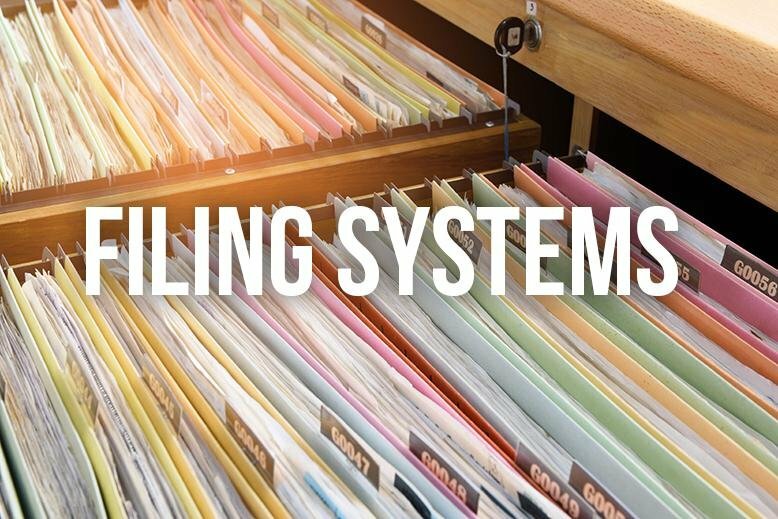 In this system, each file is assigned a number and is organized in sequential order. This is a nice system if you’re trying to keep things confidential or if you have multiple files under the same heading. You will have to keep a master key of what each number stands for so you can remember where everything is. A step above organizing things by category, purchase folders in a variety of colors. Decide which color will stand for which category, and there you go! Easy to sort and easy to see the difference between them. 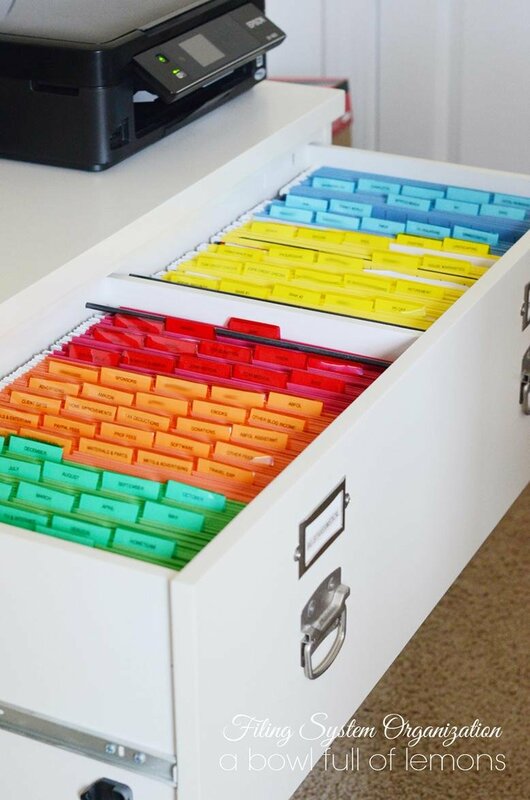 Use any combination of these filing systems to create your own! If you’re looking for an actual filing cabinet to replace the box you’ve been keeping things in, RC Willey has you covered! Check out all the filing cabinet options available here. What filing system has worked for you?